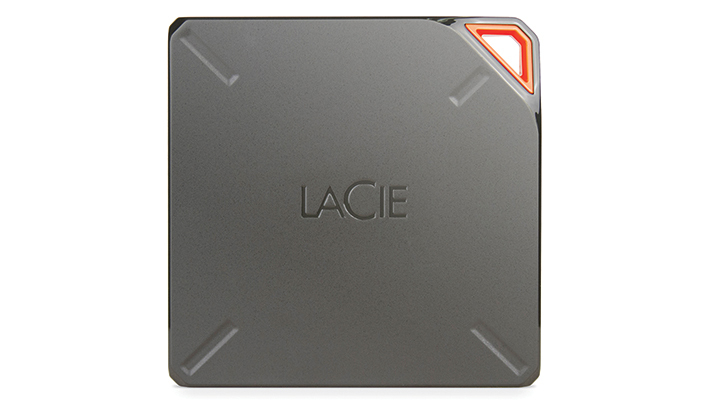 LaCie never disappoints when it comes to creating unique, ingenious storage solutions for the consumer market. And at CES 2014 the company is showing off a few of its latest offerings that are just as unique in their design as we've all come to expect. 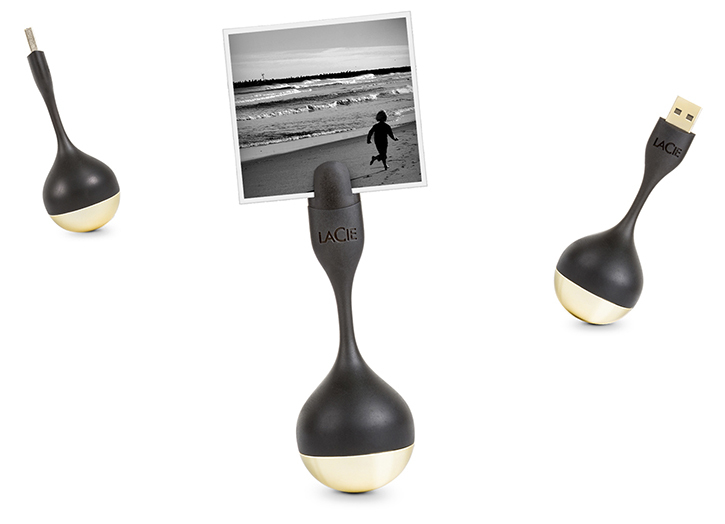 The Calbuto is LaCie's latest USB key storage drive that is designed as a self-standing, upright bobbing desk accessory when not plugged into one of your USB ports. The specially designed USB cap tip of it can hold and display a photo or a business card. Made out of black rubber and a weighty, golden metal ball-head-like base, the Calbuto features USB 3.0 and is available in 16GB and 32GB storage capacities for $50 and $80, respectively. Moving onto much larger storage devices, LaCie's new Fuel is a $200 portable external wireless hard drive with 1TB of internal storage capacity designed to provide additional storage for iPad users without using any cables. Users can wirelessly share, transfer, access and sync their data such as movies, music, photos and documents across 5 different devices including Macs - as well as stream their content directly from the Fuel drive to an Apple TV or other AirPlay devices. 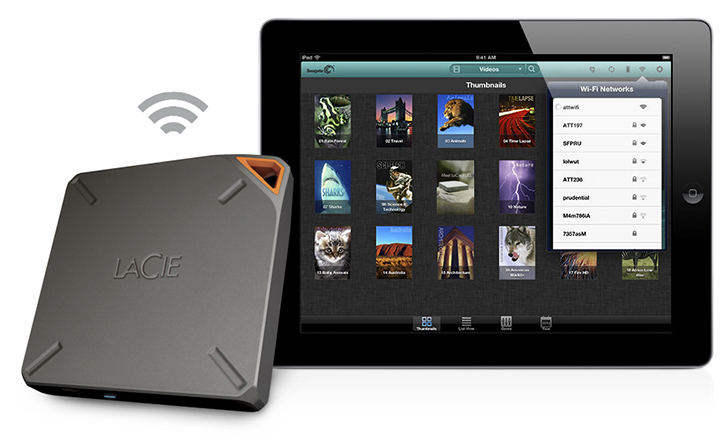 The Fuel drive also allows up to three devices to stream an HD movie that may be stored on it simultaneously using the LaCie Seagate Media WiFi hard drive iOS app. LaCie's Fuel boasts an interesting metal fuel canister-inspired design, 10 hours of battery life from a single charge, and by creating its own WiFi network, the Fuel can connect to iOS devices without internet access in order to transfer and share files. Users can also use the Fuel's USB 3.0 connectivity to transfer data from a computer which LaCie claims will be quicker when wanting to move large files across. It'll be available soon, LaCie says, for $200.